Standard Rabbit Zonker Strips - Try using zoner strips on your Boobie patterns too for that extra movement. Barred Rabbit Zonker Strips - Zonker with uniform bold barring along the whole strip. 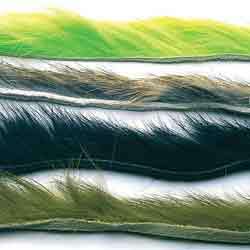 Magnum Rabbit Zonker Strips - Premium rabbit skin cut extra wide (6mm) for larger Pike and Saltwater flies. 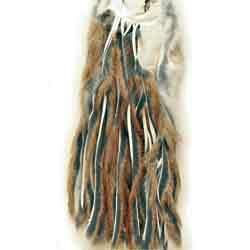 Micro Zonker Pine Squirrel Skin - Whole soft tanned skins Zonkered 2mm wide. 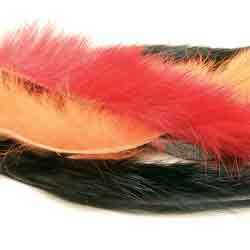 The Micro Zonker Pine Squirrel Skins are perfect for mini Zonkers. 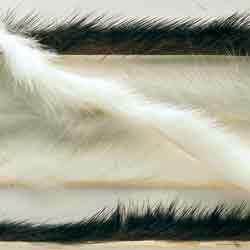 Mink Zonker Strips - These Genuine Mink Zonker Strips are perfect material for use on the Minkie. Approx. 35cm.